Rework (or re-work) is the term for the refinishing operation or repair of an electronic printed circuit board (PCB) assembly, usually involving desoldering and re-soldering of surface-mounted electronic components (SMD). 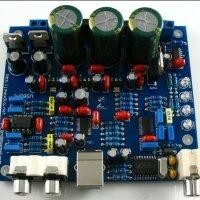 I'd like to remove all the ICs from the PCB and make the PCB for future use. The tool I have are a hot plate, a hot air machine and a soldering iron, plus soldering stuff, wick, solder sucker, and lead-free solder. What I will do is using the hot plate to warm the board, combined with the hot air tool to heat up the ICs and the solder joints. You'll get the ICs off with patience. Tweezers or a utility knife can be helpful getting the parts off once the solder is flowing. If your air tool have nozzles that line up with the IC packages, they can help with the larger parts.